Are you the type of freelance writer who avoids others at all costs? Do you work, day after day, from the comfort of your home office without any client and/or colleague interaction? This is very common in the world of freelance writing. That being said, it does not make it right. 1. Referrals. Time and time again, friends of mine in the business send clients my way. This is one of the biggest perks of growing your network. The more people you know the better chance there is of receiving a referral. As you can imagine, this is much better than having to market your own services. 2. Ask questions, get answers. No matter how long you have been writing, you are sure to have questions pop into your mind. This happens to me all the time. When I can’t find the answer, I always call on one of my friends in the industry. 3. More than just career acquaintances. What starts out as a working relationship may eventually turn into a friendship. 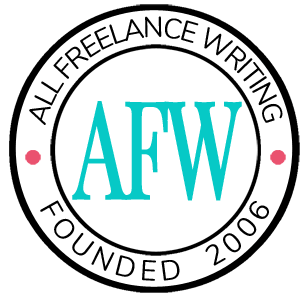 I have many friends who are clients of mine and other freelance writers. While we spend a lot of time discussing the industry, we also have talk about everything from sports to politics and much more. As you can see, connecting with other freelance writers is a big part of making it in this business. I created a small (6 of us) commercial writers group in 1997 called Copyopolis, and it’s been great. The group’s been through quite an evolution, starting out pretty much as sounding boards for questions on fees, clients, grammar, etc., and with a nice social component (pot lucks every 2-3 months). Then we got a bit more serious and did a collaborative marketing campaign (see how we positioned ourselves in the postcard campaign we created, at www.copyopolis.com). All in all, it was reasonably successful (with all of us making back our initial investment (~2K each) at least 2-3 times over, and sometimes 5-6 times over. We then all contributed 3% of any fees we got from jobs landed directly (or even indirectly) as a result from our marketing efforts into a fund that paid for future marketing campaigns. Now, we’re back to being that social sounding board again, and that works fine for us! Thanks, Chris! Great to know there are other successful freelance writers in their 20s who have taken the risk to write full-time and understand the value in networking. @Allena–very funny about “when the words run out.” Stay inspired! I tell writers to get to know every other freelance writer who ranks well for their keyword search. They’re usually terrific pros and know about marketing. I have a friend who was referred a nonfiction book deal by a fellow travel writer in my town. So many writers view other writers as “the competition” instead of their network. It’s a big mistake. Another great idea is to create a referral network among your writer community members. It’s a great way to pick up referrals and a good way to pay it around to the people you work beside (virtually, of course).